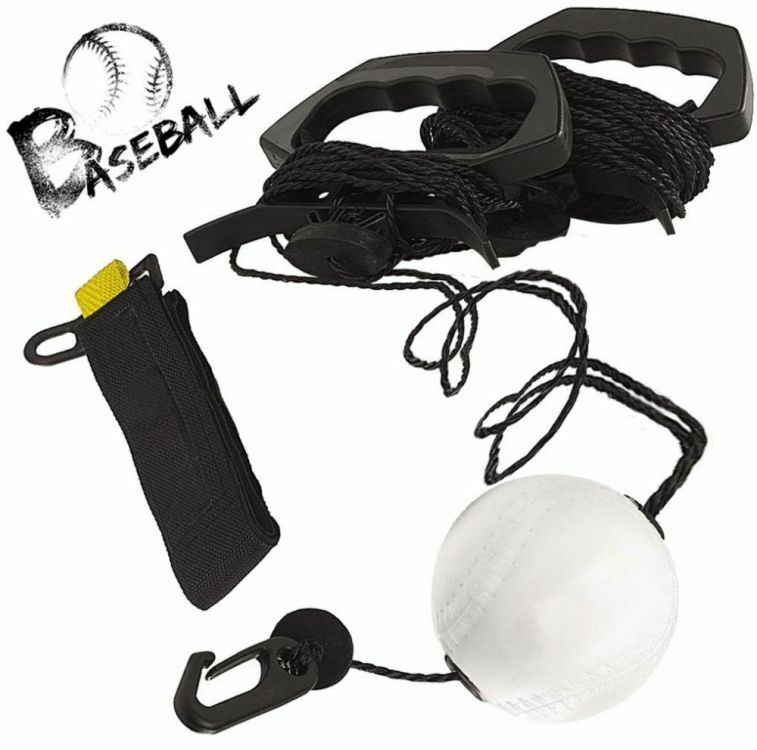 This will help you practice your baseball swing without the need to chase the ball around or anyone to pitch the ball! Going to the sports field and pitching ball after ball can be a lot of fun, but sometimes there isn't enough time, or there isn't a large enough open field. With the Zip Hitter Baseball Trainer you can practice anytime and virtually anywhere. All you need is a tree or post to tie the Zip Hitter to and you're ready to go! It's easy to use - just attach it anywhere and start improving your confidence at bat! The Zip Hitter dramatically speeds up practice time and at bat time. In the time it would take to pitch and hit a few balls and chase them down, you will already have been swinging many many times. Use it to warm up before a game, practice in your backyard on the weekends, or buy multiple to train during practice sessions with a team. The person on the end of the chord controls the speed, so it can be used for beginner to advanced players and can go surprisingly fast. Adjust it up or down to practice high or low pitches and different types of swings. To warm up, most hitters simply swing a bat a few times before games, with no real way to practice ball on bat contact. Now you can warm up your reflexes and train your eye before it's your turn up to bat. Order today and get 50% off for a limited time. Ships free in the US and worldwide. This sale will only last a few days, so order today before the price goes back up!